ACL Tears: Did you know that knee injuries account for nearly a third of all winter sport injuries? This is because there are so many instances where the knees must act like shock absorbers that endure the brunt of the impact while skiing or skating. If you fall while wearing skis and the fixed heel bindings do not release, the skis can puts tremendous pressure on the ACL causing it to tear. Upper Limb Injuries: Shoulder dislocations, rotator cuff tears, wrist injuries and broken bones occur commonly while snowboarding. Your knees and ankles are relatively safe while snowboarding because both feet are strapped to a single board and facing the same direction. Skier’s Thumb: Also known as an ulnar collateral ligament tear, this injury occurs when falling on an outstretched thumb. It is often seen when skiers fall while gripping their ski poles. Concussions: People often think of sledding as a safe winter activity, but it is one of the leading causes of traumatic brain injuries when compared with other winter sports. 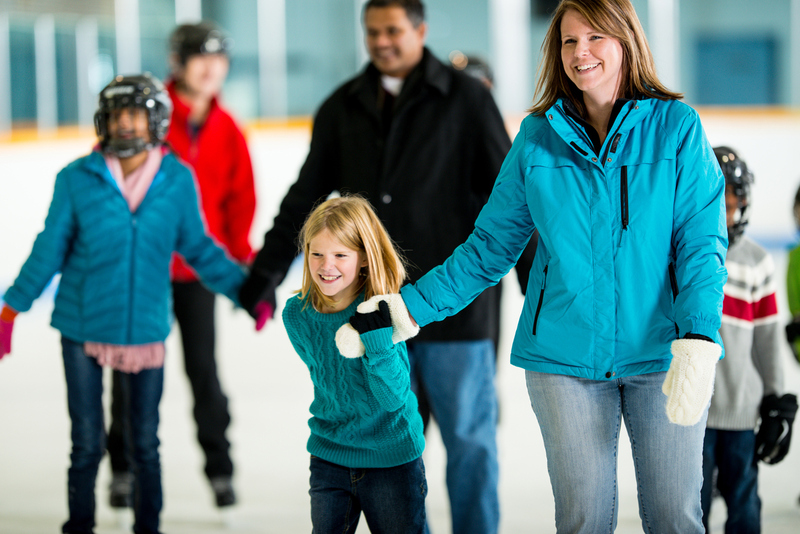 Fractures: As most winter sports take place in a low-friction environment, slips, collisions, and falls resulting in broken collar bones and fractured limbs are likely to occur if you are not careful. Always check your equipment to ensure everything is working properly. Use good quality protective gear such as helmets, padding, gloves, and goggles. Wear several layers of clothing to keep your body warm. Perform some light warm-up exercises to get your body ready for the action. Chose a sport or activity that is commensurate with your skill level. For example, if you are new to skiing, its best to avoid steep ski slopes used by experts. Most injuries tend to occur at the end of the day when you are completely exhausted and more likely to throw caution to the wind. It is best to call it a day before you reach this stage. Have a happy and safe winter season! Dr. Ronak Patel is a Board-Certified Orthopedic Surgeon offering a full range of care for all problems of the knee and shoulder with a special interest in complex knee disorders including ACL reconstruction. Book your appointment with Dr. Patel today.